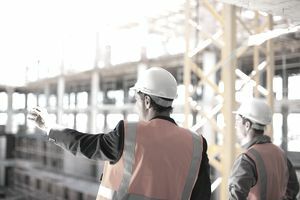 If you are currently looking for a job in construction management, the opportunity exists to make a substantial income, but there is a broad range of salary amounts that you can realistically expect to be offered, especially if you are new to the industry or don't have much experience. According to the Bureau of Labor Statistics, the median pay for mid-career construction managers is about $82,000, but a wider breakdown by the bureau estimates that you can expect to earn anywhere from $50,000 to $150,000 per year in construction management. There are numerous things to consider when determining where you might fit on that scale, so let's have a look at a few of the major factors. In almost any profession, the more experience you have, the more you can realistically expect to earn. If you have 10 years’ experience in construction and have worked your way up the ranks to your present position, you could find yourself being offered a better salary package than someone who is fresh out of college with minimal real-world experience. Always play to your strengths. Let your résumé or CV accurately reflect the level of experience you have, particularly as it pertains to management on the job site. You might not have had the title of construction project manager, but if you can demonstrate that you have management experience, that will help you fetch a higher starting rate. Experience can get you far when it comes to getting a good pay rate, but experience plus education can boost you into that median range much more quickly. Do you have a degree in construction management? Numerous online programs can get you there while you continue to work and build your reputation in the industry. Once you earn your diploma, you can reasonably expect to be offered a better starting salary than someone without a degree, and, really, most well-paying management positions will require it anyway. Do be careful what degree program you select. Research the school thoroughly, especially if you're going the online route. The quality of your education will also affect the offers you receive. Being a member of various trade associations and professional organizations will also have a positive impact on your salary. Being a member in good standing of an organization like the Association of Builders and Contractors (ABC), for example, makes for a great bullet on your résumé. It shows potential employers your commitment to the industry and that you are an active participant in it. You're more than just a worker—this is your career, and you take it seriously. More to the point, you will likely be required to be a member of specific organizations and have acquired various certifications in order to even be considered for many construction management positions. Always accentuate the memberships and certifications that you have. If you have more than what is required for the job, that can help boost the offer, sometimes substantially. Who is in charge of hiring in the companies to which you are applying? If you want to get the best salary, you need to be dealing with a hiring manager who is high enough in the ranks that his or her hiring and salary decisions aren't likely to be easily overridden. Too much internal negotiation could keep your hiring terms (including your salary) held up in the bureaucracy for a while. In the meantime, other, better opportunities are passing you by. The number of people you will be managing also has a direct effect on what you can expect to be offered. If you are applying to a small startup, you will be on the low end of the pay scale based on the company's annual revenues and a host of other factors. A larger, more established company with more employees will net you a better salary every time, but it will also expect and demand a certain level of education, experience, and proven ability to handle managing large numbers of subordinates effectively. It goes without saying that there are different degrees of risk involved in different areas of construction. Managers in higher-risk positions can expect either better base salaries or hazard pay contingencies, so if you're certified in construction areas that are considered high risk, you could be in line for a higher-than-average starting salary even if you don't have years and years of experience going in. Do keep in mind that the longer you work in a high-risk position, regardless of your title, the more likely it becomes that you will eventually be involved in a life-threatening situation resulting in bodily injury. Weigh your options carefully and decide whether the level of risk involved in a certain job is worth the bump in pay you might get for doing it.